Ceragon Networks announces delivery of FibeAir IP-20 wireless-backhaul equipment to GovNET, a private telecommunications firm that is building a statewide microwave and fiber network in Arizona to serve the critical-communications needs of hospitals, schools, governments and emergency-service organizations. Ceragon Networks recently announced delivery of FibeAir IP-20 wireless-backhaul equipment to GovNET, a private telecommunications firm that is building a statewide microwave and fiber network in Arizona to serve the critical-communications needs of hospitals, schools, governments and emergency-service organizations. GovNET is building the State of Arizona-Counties Communications Network (SACCNet), which is expected to provide “critical Middle Mile infrastructure across the state” via microwave and fiber, according to GovNET’s application to the National Telecommunication and Information Administration (NTIA). NTIA is administering the Broadband Technology Opportunities Program (BTOP) that is providing $39 million in federal grants for the $52 million GovNET initiative. The value of the Ceragon Networks component of the project is $4.6 million, according to a company press release. GovNET is using Ceragon gear that operates in 6 GHz and 11 GHz spectrum for backhaul microwave links, as well as equipment operating in the 18 GHz and 23 GHz bands for access, according to Chuck Meyo, Ceragon Networks’ president of North America. Ceragon Networks is best known for its work supporting large commercial carriers, but the company also wants to build its reputation on in the critical-communications arena, Meyo said. 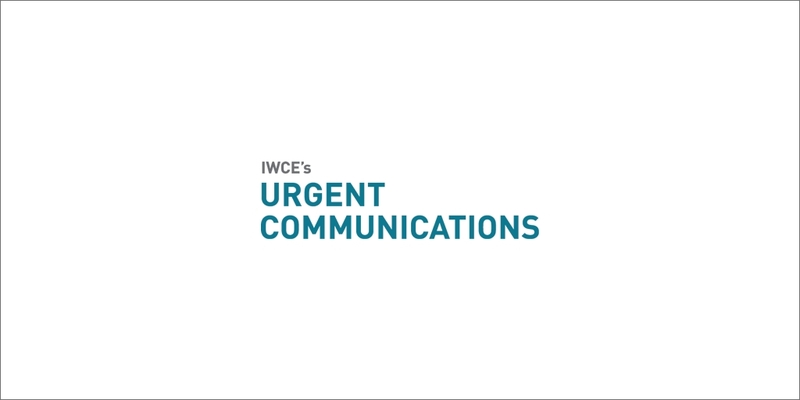 “For the most part, we have a very high percentage of the Tier 1 carriers worldwide,” Meyo said during an interview with IWCE’s Urgent Communications. “This is the same product that we’re using there, but we’ve found that it is a very nice fit for public safety, as well as state and local government. Meyo applauded the approach being used by GovNET CEO Pat Barringer. Barringer said the Ceragon Networks’ offerings provide GovNET with the connectivity needed in Arizona.